It's interesting that the producers are hoping to come up with something new and fresh but without Harrison Ford I'm not too sure. He was such an important part of the original film. That said I'm sure no one wants to see Deckard coming out of retirement a second time to chase Replicants. 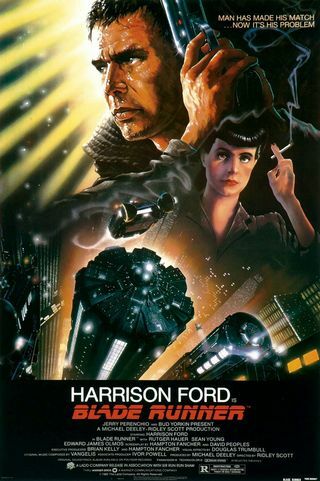 Blade Runner is a film that has only aged because they put a date on when it was set - 2019. Unlike other films of its era the special effects aren't showing their age. Although Ridley has said the date doesn't matter, since the world is an alternate universe, it will be interesting to see if the fact that we're not too far from 2019 will influence when a new film is set. Generally I don't have any expectations for what I'd like to see in a new film. My main hope is that they steer clear of the three book sequels to Blade Runner written by K. W. Jeter. Not because there is anything particularly bad about them - I've read the first two - I just don't think they'd really facilitate the 'fresh' approach the producers are hoping to take. My main concern is, will a new film be able to stand up against the original. It has some very big shoes to fill. However, the fact that Alcon Entertainment, the production company for this new film, were also behind the film The Book of Eli gives me some hope. That film stands out quite well stylistically even if its look isn't completely unique. Whatever they come up with I will certainly be going to see it.